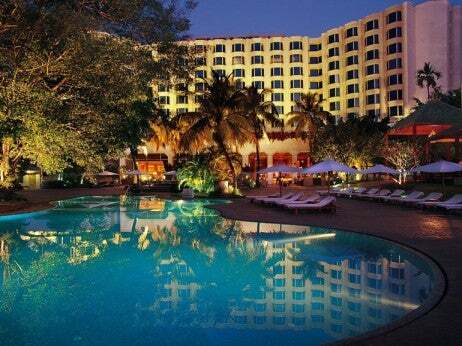 Set among 11 acres of lush, landscaped gardens and cascading waterfalls The Leela Mumbai is an oasis of calm and tranquility amid the hustle and bustle of the metropolis. The hotel offers all the facilities the discerning Elite Traveler would expect from a five-star luxury hotel, complete with a touch of the true essence of India. The Leela is conveniently situated next to North Mumbai’s commercial center, and is only a stone’s throw from rail arrivals and departures at the Chhatrapati Shivaji Terminus and domestic airports. 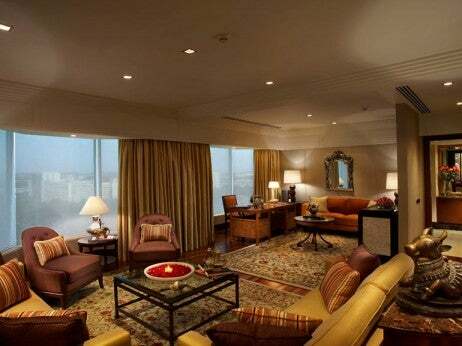 Why we love it: Located on the 8th floor, this magnificent suite is an ideal blend of traditional and modern styling. Antique Indian artifacts, paintings, mother of pearl inlaid teak wood cabinets and rich silk fabrics add elements of sophistication to the décor, while two luxuriously appointed bedrooms and a bathroom with a Jacuzzi and rain shower add a touch of opulence. The dining room is furnished with exquisite Rosenthal crockery, and a 24-hour personalized butler is on hand to meet your every need.